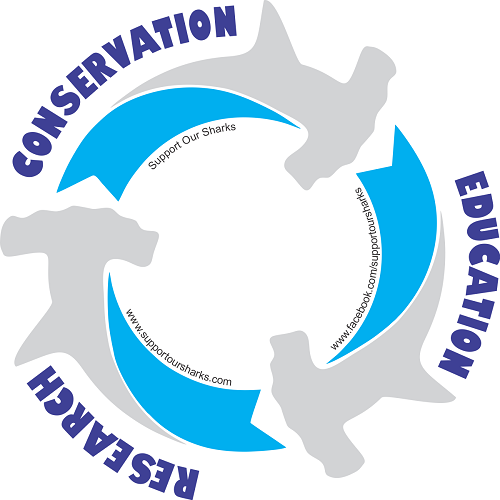 I founded the Support Our Sharks (SOS) Ocean Conservation Society in 2010 with a mission to support healthy oceans by promoting better protection for sharks and rays. SOS is a science-based conservation group raising awareness to the threats facing these animals in the 21st century. I established SOS with the goal of educating the public by promoting conservation, outreach, and research to inspire interest in protecting these important animals. SOS utilises a mixture of on-the-ground and online campaigning, educational outreach and peer-reviewed scientific research to encourage better protection for sharks and rays, while also promoting better protection of our delicately-balanced ocean ecosystems. By working closely with the general public and a wide range of specialist groups including scientists, divers and politicians, I hope to bring about positive change for sharks and their relatives worldwide. Learn more about my outreach and conservation projects with Support Our Sharks via the link below.